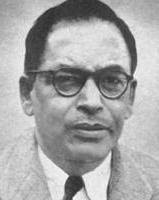 MEGHNAD SAHA was a great Indian scientist. He made remarkable contribution to the field of Astrophysics. He put forward an “ionization formula” which explained the presence of the spectral lines. 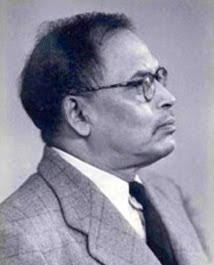 Meghnad Saha belonged to a poor family and struggled to rise in life. 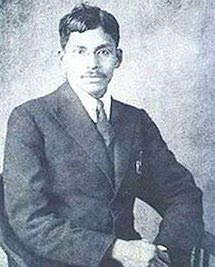 He was born in Seoratali, Dacca district, now in Bangladesh, on October 6, 1893. He was the fifth child of his parents, Sri Jagannath Saha and Smt. Bhubneshwari Devi. His father was a petty grocer who barely managed to keep his large family from starvation. Meghnad Saha started his education in the primary school of the village. The nearest such school was in another village about 10 kilometers away. 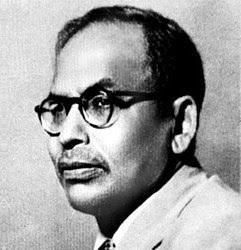 He was lucky in that one Dr. Anantha Kumar Das took an interest in him and offered free board and lodging, so the young Meghnad could go to school. Later in life, he took every opportunity to express his gratitude to Anantha Kumar Das for this timely help at such a crucial stage, without which his education may never have continued.